The website recommended to teachers to encourage their students to feel safe from bullying has been revealed as a magnet for predators. Schoolchildren are running the risk of exposure to predators though a website run by the federal Department of Education and Training. In what must be a cruel twist of irony, the starting point for this is none other than the Safe Schools Hub, which is intended to protect children from bullying and other forms of harm. Although the Safe Schools Hub has as one of its “Guiding Principles” that schools must “accept responsibility for developing and sustaining safe and supportive learning and teaching communities that also fulfil the school’s child protection responsibilities”, it is failing to do so itself. 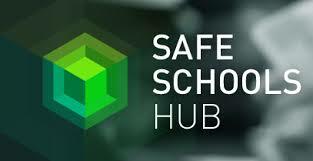 Because it is run by the federal government, the Safe Schools Hub is used as a resource by many primary and secondary schools across the country. The original intention of the site was to prevent bullying in schools, and it attempts to stamp out discrimination on the basis of religion, ethnicity, gender and the like. These are all good things, but when it comes to protecting students, things go badly awry. Click on the link to read How Vulnerable are Your Students to Online Predators? This entry was posted on July 22, 2015 at 10:00 pm and is filed under Uncategorized. You can follow any responses to this entry through the RSS 2.0 feed. You can leave a response, or trackback from your own site.